The former soccer player picks up her second Runner of the Year honor. Last year she was the surprise, the girl who turned to cross country only after playing soccer as a high school freshman. 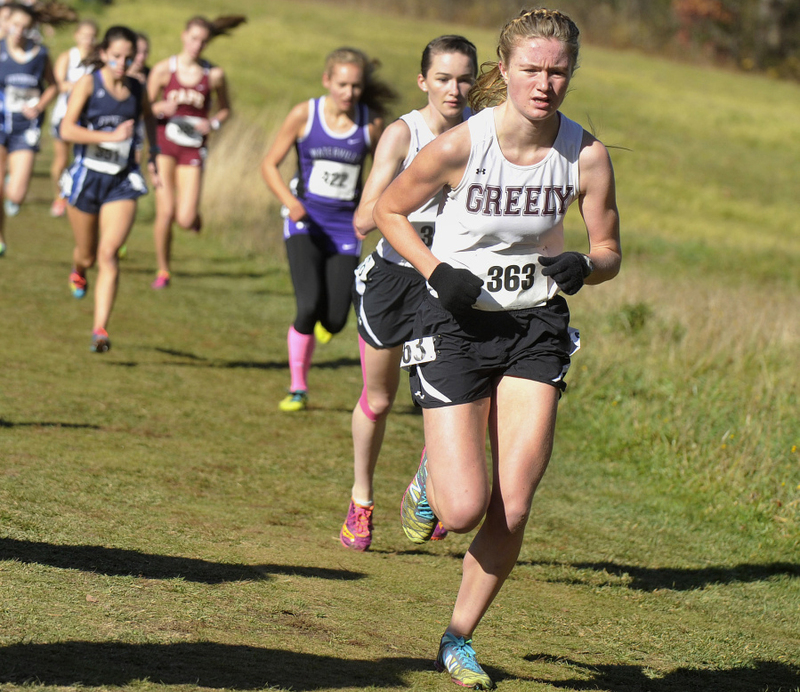 Katherine Leggat-Barr, now a junior at Greely, went on to win the Class B state championship and lead the Rangers to the 2014 team title. This year was different. Leggat-Barr had a target on her back as the one to beat. 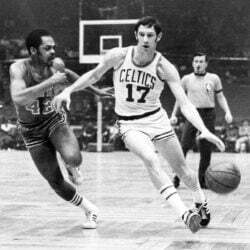 Even so, despite a foot injury and the loss of a valued training partner, nobody ever did – at least, not in Maine. For the second year in a row, Leggat-Barr is the Maine Sunday Telegram girls’ cross country runner of the year. A case of plantar fasciitis caused Leggat-Barr to miss two weeks early in the season to let the foot heal. She tested it in mid-September for one race (winning at Twin Brook in a pedestrian 20 minutes, 41 seconds) before returning to the competitive Manchester (N.H.) Invitational, at which she had placed second as a sophomore. This time, she dropped to seventh, with a finish 12 seconds slower than the previous year. Leggat-Barr won her next meet, then took home the Western Maine Conference title at St. Joseph’s College in Standish. That set up victories in the regional and state meets (in 19:11, fastest time from all three classes) before she won all-New England honors in Thetford, Vermont. She was 17th overall at the New England meet, six seconds behind Orono junior Tia Tardy, the Class C state champ who placed 12th overall as the first Mainer. Two weeks later, Leggat-Barr made her Foot Locker Northeast Regional debut with a respectable 30th-place finish in 19:05 at Van Cortlandt Park in the Bronx. Instead of playing basketball again this winter, she will try indoor track. She plans to return to lacrosse in spring and then do a summer internship at the University of Maine, studying storm-water quality. “I’ve always been interested in the environment and keeping our planet cleaner,” she said. Izzy Evans, who had pushed Leggat-Barr in practices last fall as a freshman and was runner-up at the 2014 Class B state meet, spent this fall in Spain. In her stead came another talented freshman, Carolyn Todd, who also wound up second in the state meet. Lauren Brown, Waterville senior: Brown placed third in Class B and was the Northern Maine champion by more than half a minute, leading Waterville to the regional title. She was the second Mainer at the Festival of Champions, sixth overall. Anna Lastra, Fryeburg Academy senior: Lastra dropped more than 20 seconds from the regional meet to finish fifth in Class B. She was the sixth Maine finisher at the New England meet and 56th overall. Katherine Leckbee, Mt Ararat sophomore: The Class A runner-up after placing third in Northern Maine, she was 12th among Mainers at the New England meet, 104th overall. She was the KVAC runner-up in Class A.
Katherine Leggat-Barr, Greely junior: A two-time Class B champion who placed 17th in New England (the second Mainer to finish), Leggat-Barr had the fastest time (19:11) at the state meet, regardless of class, and was a regional and Western Maine Conference champion. Kialeigh Marston, Bonny Eagle senior: Marston was a regional runner-up who placed third in Class A, leading the Scots to their third team title in four years. She was seventh at the Festival of Champions – the third runner from Maine. She will continue her career at Assumption College. Serena McKenzie, South Portland junior: McKenzie was unbeaten in SMAA competition and placed fourth in Class A after taking third in the Southern Maine regional. She finished 74th at the New England meet. Anneka Murrin, Yarmouth sophomore: Murrin placed fourth in the Class B state meet to lead the Clippers to their first championship. She was fourth in the WMC championships, and 63rd at the New England meet. Anna Slager, Gorham sophomore: The Class A champion by 10 seconds in 19:42, Slager had the third fastest time of the day, regardless of class. She won the regional title and placed 38th in New England as the fourth Mainer. She was unbeaten in SMAA races. Tia Tardy, Orono junior: The Class C champion, Tardy led a 1-2-3 finish for Orono, which won its third straight team title. She was the top Maine finisher at the New England meet, placing 12th overall, and the first Maine runner at the Festival of Champions, fourth overall. Carolyn Todd, Greely freshman: The Class B runner-up, Todd’s time of 19:18 was faster than that of the Class A and C champions. She was the third Mainer at the New England meet and 20th overall.